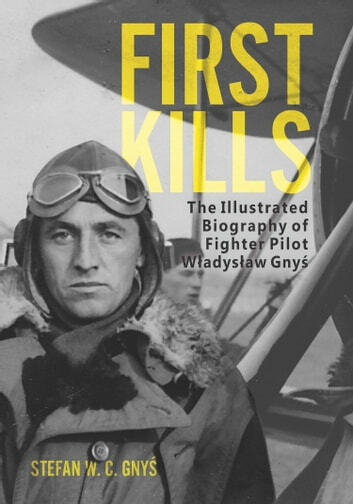 Polish pilot Władysław (Władek) Gnyś was credited with shooting down the first two German aircraft of World War II on September 1, 1939. On this day, as Gnyś' squadron took off near Kraków to intercept the German invaders, German Stuka pilot Frank Neubert attacked, killing the captain. Władek, who barely survived himself, evaded the pursuing Stukas and went on to make the first Allied kills, while Neubert was credited with the first aerial kill of the war. An experienced fighter pilot, Gnyś fought in the Battle of Poland with the Polish Air Force, the Battle of France with the French Air Force and the Battle of Britain and beyond with the Royal Air Force. During the latter part of Operation Overlord of June 1944, Władek was shot down over France and crash landed. Wounded, he was taken prisoner but then escaped, his life spared by the enemy on more than one occasion. Fifty years after the invasion of Poland, in the summer of 1989, Gnyś and Neubert met and shook hands, making news around the world. They reconciled their differences and remained friends until their deaths. This event symbolized the prevailing friendly coexistence between Poland and Germany. Written by his son Stefan and drawing from his logbooks, this highly illustrated biography of Władek Gnyś is the most in-depth account of the Polish hero’s life. It tells Władek's story from his childhood in rural Poland, through his time flying in three Allied air forces during World War II, to his reconciliation with Neubert and his commemoration as a national war hero in Poland.